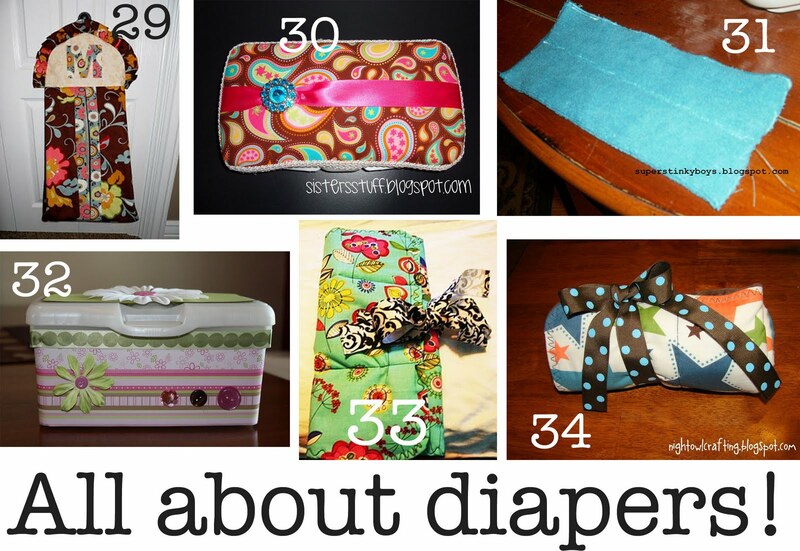 Wednesday’s Wowzers: TONS of baby ideas!! You are here: Home / Baby Week / Wednesday’s Wowzers: TONS of baby ideas!! Welcome to Wednesday's Wowzers, my friends!! Here is another round-up of YOUR fabulous ideas!! I threw in a few of my favorites as well. I really am trying to feature EVERYTHING in categories, but whew that takes some time! So pretty please... make it all worthwhile by reviewing the ideas. And get excited for Baby Week!! I have some fabulous sponsors and guest authors prepared for you! If you haven't linked up baby ideas yet, go for it! Just click here for the link party. 1. Easy burp cloths by Super Stinky Boys. 2. Burp cloths by Our Place by Grace. 3. Fringed burp cloths by Home Sweet Home. 4. Easy burp cloths by Footballs and Daisies. 5. 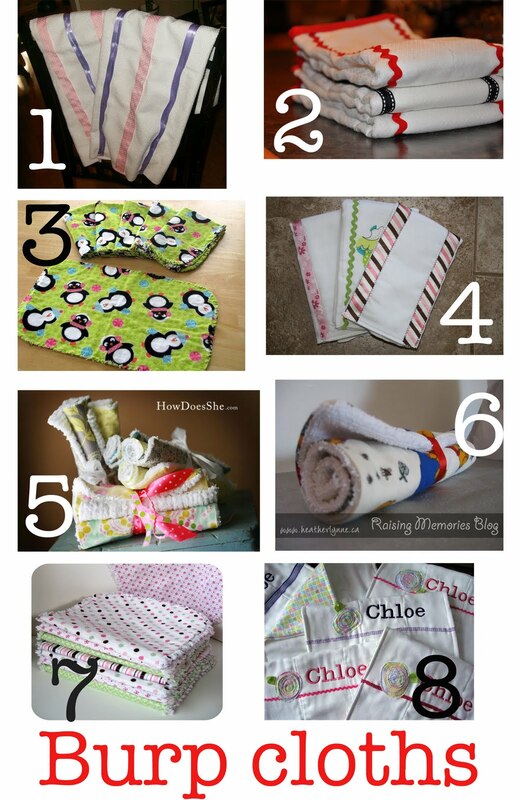 Designer burp cloths by How Does She? 6. Burp cloths by Heather Lynne. 7. Printable burp cloths with Homemade by Jill. 8. Embroidered burp cloths by Something From Cassie. 9. Reversible car seat tent by Night Owl Crafting. 10. 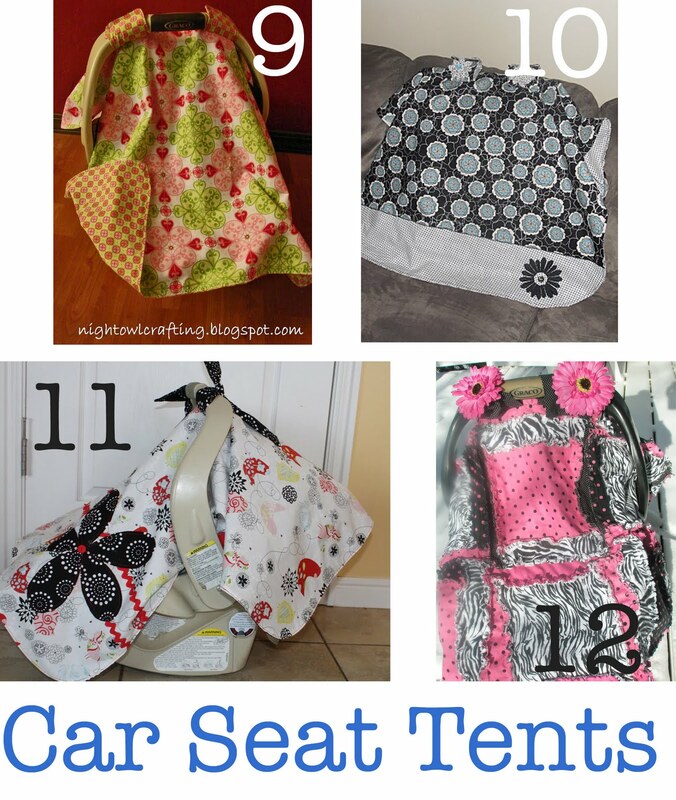 Car seat tent by Sumo's Sweet Stuff. 11. Car canopy by Rosies. 12. Car seat tent by A Vision To Remember. 13. 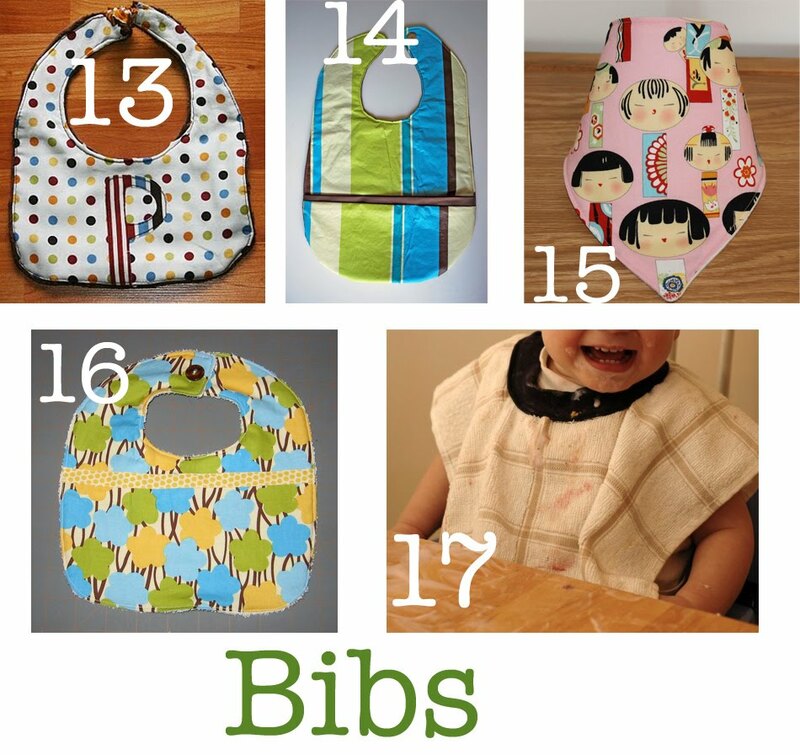 Initial bib by Modern Brady Bunch. 14. Vinyl tablecloth bibs by Just Another Day in Paradise. 15. Bandana bibs by Sew Pumpkin. 16. Bib tutorial and template with Homemade by Jill. 17. Dish towel bib with Create Everyday. 18. 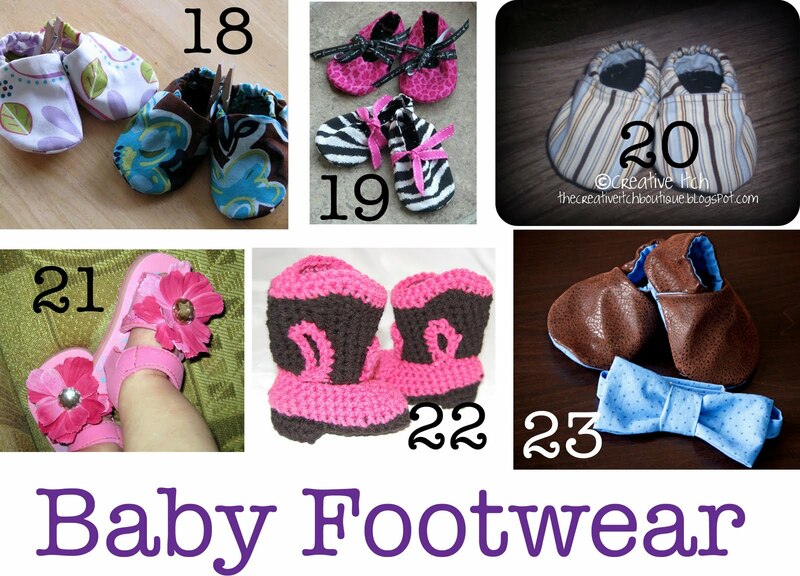 Cloth baby shoes by Home Sweet Home. 19. Little diva shoes by Home Sweet Home. 20. Baby shoes by Creative Itch. 21. Flower flipflops from Just Another Day in Paradise. 22. Booties from Crafted By Mama. 23. Slipper shoes by Delia Creates. 24. Colors quiet book by C.R.A.F.T. 25. Baby quiet book by A Vision To Remember. 26. 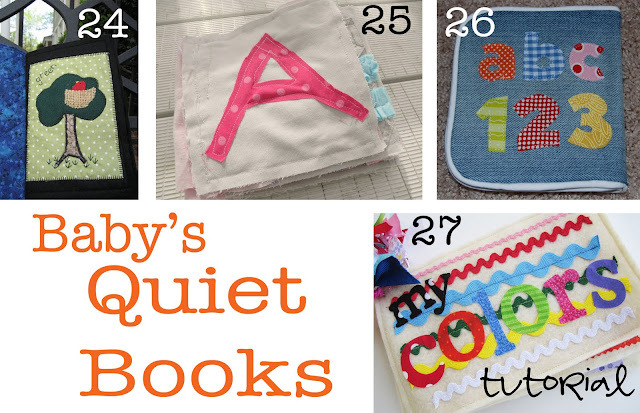 Denim quiet book by Naptime Crafting. 27. Colors quiet book by Everyday Celebrations. 28. 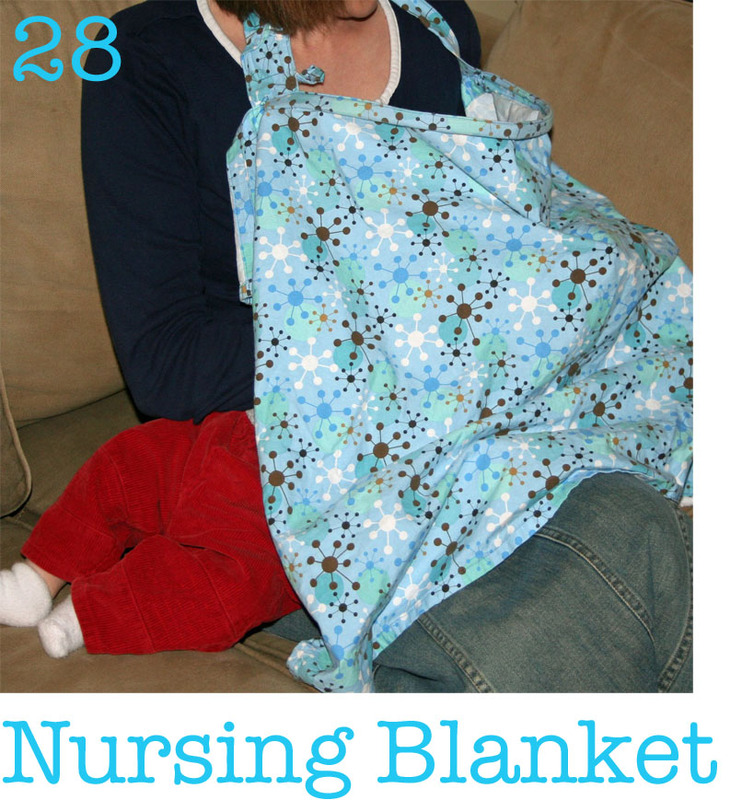 Nursing blanket by Sugar Bee - Craft Edition. 29. Diaper holder by Sew Dang Cute. 30. Wipe case by Sisters Stuff. 31. Cloth diapers by Super Stinky Boys. 32. Diaper wipes case by Sisters Stuff. 33. Fabric changing pad by Modern Brady Bunch. 34. Fabric changing pad by Night Owl Crafting. So check out some of these ideas that you love... I don't know about you, but I feel flooded by creativity!! Have a fabulous day! Thanks for sharing your ideas!